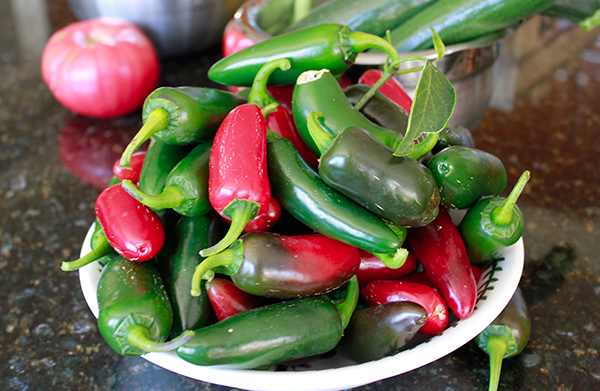 You can get a surprising number of jalapeños from even small bushes raised in pots. Or, just buy them at the grocer. Once prepared, they are perfect for sandwiches, paninis, pizzas, hamburgers or whatever ails you (Peter). 1. Mix vinegar, water, salt, sugar garlic, mustard seeds, peppercorns and turmeric in saucepan and heat to boiling. They do discolor a bit. It's a good idea to include some red ones if you have them. 3. 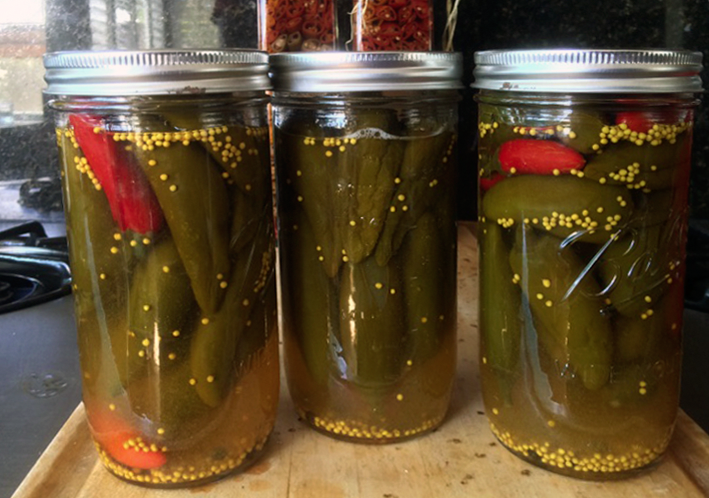 Set out the clean jars and lids. 4. 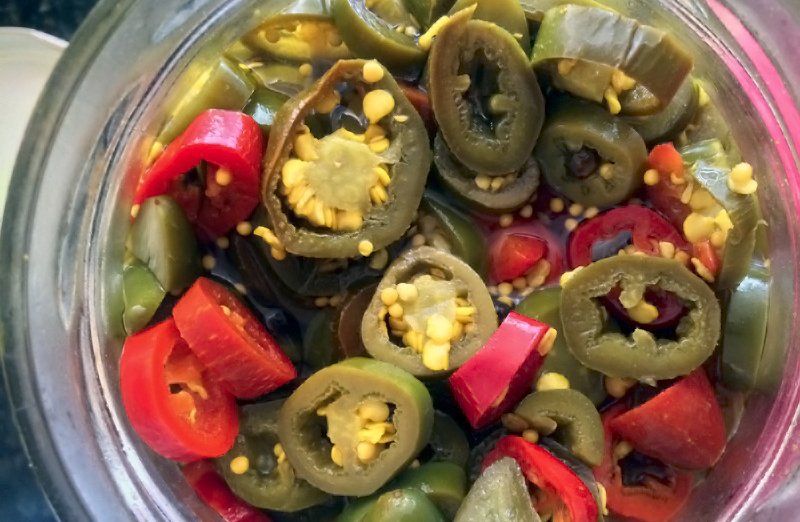 Place Jalapeño peppers into liquid and move around. Bring to boil or near boil - do not "cook". 5. Ladle mixture into jars then seal and let cool. 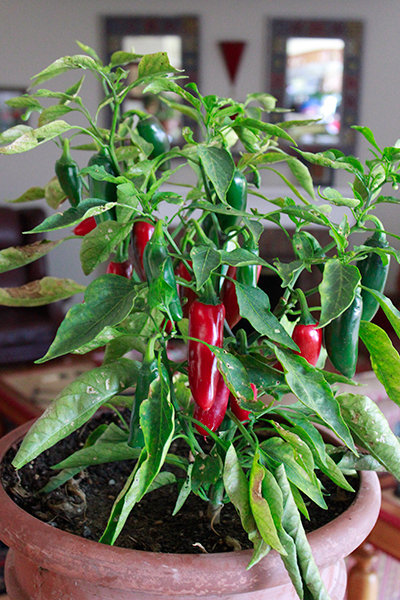 Jalapeños do well in pots. Wal pickles his Jalapeño peppers whole. I do this only occasionally. The most photogenic of home grown vegetables.